Business Description : Local manufacturer of emulsions, flavours and syrup blends for the food & beverage industry. 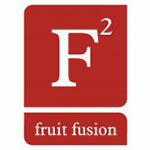 Fruit Fusion also imports directly: powdered colourants / dyes, which are traded or blended further to client specific requirements. We also trade in fruit pulps and concentrates, thus making us a supplier for the majority of your required products.